Ensures the lowest NPSH = Tough to cavitation. Well handling of 5∼10% AlR or GAS content liquids. Extremely low NPSH applications. Lower a suction tank close to the pump, thus saving plant constructing cost. LNPS/LNPF has excellent reliability and durability under severe condition. 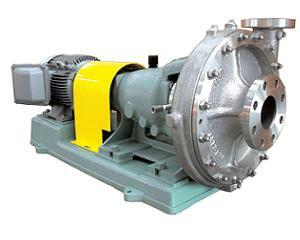 For cast-iron material the pump model is LNPF.